FORMER WEST is a long-term international research, education, publishing, and exhibition project (2008-2013), which from within the field of contemporary art and theory aims to reflect upon the changes introduced to the world (and thus to the so-called West) by the political, cultural, artistic and economic events of 1989; reconsider the global histories of the last two decades in dialogue with post-communist and postcolonial thought; and, finally, to speculate about a 'post-bloc' future that recognises differences yet evolves through the political imperative of equality and the notion of 'one world'. 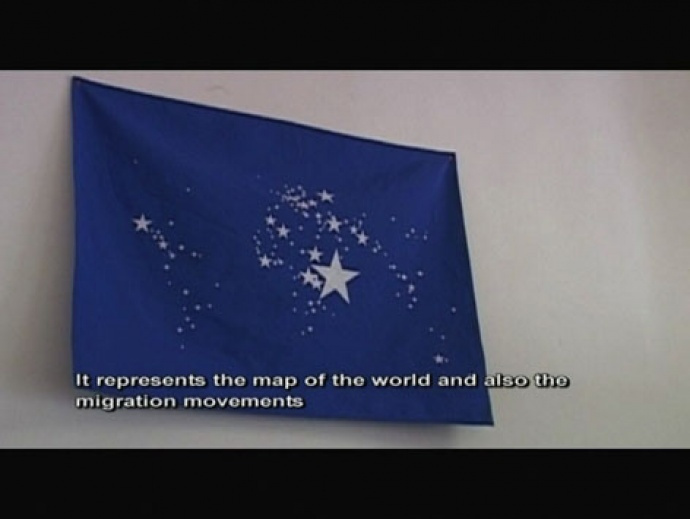 When asked during a research interview what she thought of the notion of 'former West', artist Hito Steyerl replied, 'it would be a good idea' - echoing what is said of Mahatma Gandhi's reply to the question of what he thought of Western civilisation, and Stuart Hall's application of that response onto the problematics of democracy today.2 Indeed 'former West' is neither a description of the status quo nor a declaration of something claimed to be already evident, but rather (or only) an articulation of what might be imagined in the future, of what is aspired to. It is a proposition for how to rethink critically our recent past and for how we might, upon dislodging the hegemonic self-narration of the so-called West, speculate artistically and intellectually, poetically and politically, about our future. 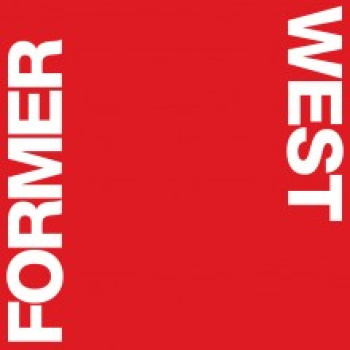 Although the term 'former West' has immediate rhetorical power that seems to communicate radical content, we are reminded of its vast complexity with each attempt to tackle the very question of just what the 'former West' might be. Thus within these notes, written amidst our work on the FORMER WEST project, which we are currently undertaking with a remarkable group of artists, thinkers and art institutions, it would be premature, if not irresponsible, to attempt to draw any firm conclusions. Rather, what follows is a sketch of some dilemmas and propositions, necessarily fragmentary and partial if not schematic and generalising, of our way of thinking 'former West' at this stage. FORMER WEST proposes the year 1989 as the defining moment of recent history. The fall of the Berlin Wall is undoubtedly that year's most headline-grabbing event, but it by no means encapsulates the full breadth of the global paradigmatic shifts that ushered in another future. It did, however, give birth to what we so unproblematically call the 'former East', a term used to refer to the post-1989 political geography of what used to be known as the Soviet or Communist bloc in the Cold War period. Coming into existence in the wake of the 1989 changes (such 'cohesion' inside the 'bloc' was unheard of before), the notion of 'former East' as used from within its own territory indicated a move that was partially emancipatory (marking a break from the totalitarian past), partially self-colonising (in the sense that it contained a subtext of an understandable yet problematic desire to be seen as 'normal' from a Western perspective) and in part also strategic (seeking advantage in its marketing value, especially in the field of art). Having, in its own interests, widely used 'former East' as commonplace in its own rhetoric, the West, on the other hand, did not undertake a comparable move from within itself: the 'former West' was never articulated as a counterpart to its Eastern double. Not questioning the ascendancy of its capitalist orthodoxy and failing to recognise the impact of the massive shifts put in motion by the end of the Cold War, the West remained - thinking and acting, both internally and while on its global mission - as the first among the worlds. Yet to see the 'former West' as a mirror image of the European 'East' would be inaccurate, despite the seductive rhyme the comparison evokes. This is because the collapse of the Eastern bloc's socialist regimes is intimately linked with pivotal shifts on a global scale. A complex chain of causes and effects links the end of the Cold War with events as geographically remote as the Tiananmen Square massacre in China (which shored up the general architecture of the Chinese Communist Party's political power but rapidly accelerated the country's capitalist transformation); the collapse of US-backed military dictatorships in South America, as well as of other dictatorial regimes around those years (from Ferdinand Marcos in the Philippines to General Suharto in Indonesia or Mobutu in Zaire), which were left to their own devices by their former Western sponsor and the end of the apartheid regime, devoid of its justification in the Cold War logic as an unsavoury yet indispensable defence against the advance of communism in Africa (with the painful irony that the new ANC-led South Africa became an exemplar of rapid neoliberal transformation and integration into the world economy). Further coincidental occurrences of the year 1989 - from the death of Ayatollah Khomeini in Iran to the fatwa issued against Salman Rushdie for his Satanic Verses, published the previous year - set the tone for what would become, in the second decade of the post-1989 era, the main narrative of the new world order, namely a clash between an ideologically riven Islamic world and a so-called West, unsure of its positioning towards it. Other events are more directly connected to the shifting fault lines of geopolitics at the end of the Cold War, including the withdrawal of Soviet troops from Afghanistan (and the subsequent changes that this move had in the Middle East and Central Asia); the growth of Hamas (founded in 1987), which infused a clear Islamist component into the Israel-Palestinian conflict and signalled the demise of Arab socialist nationalism that had prevailed for the previous decades as one of the key narratives in the region; and, of course, the founding of Al Qaeda in 1988. Last but not least, these events were accompanied by the revolutionising potential of advances in the field of technology. Recall that the World Wide Web was launched in early 1989 at CERN (the European Organization for Nuclear Research) in Geneva, and with the subsequent introduction of 'http' and 'html' code it became available for individual use and world expansion, thus enhancing the previously unimaginable reach of globalisation. Despite the dominance of the contemporary liberal-democratic consensus, is there not a way to imagine the world in an alternative constellation? To suggest the 'formerness' of the so-called West might be a move in this direction. Despite the dominance of the contemporary liberal-democratic consensus, is there not a way to imagine the world in an alternative constellation? To suggest the 'formerness' of the so-called West might be a move in this direction. The 'former' condition seems meaningful because it still has some power over the imagination in the present, and, though it seems to have passed into history, it carries the possibility for understanding what is going on now and beyond. 'Former' is to an extent cognate with the prefix post-, the use of which does not represent an end to a condition, but rather a radical yet still disputed transformation in status. Yet, and this is not an insignificant complication, a (mechanical) application of the label 'former West' onto the defined territory (the political geography of the so-called West) and the definite historical period (from 1989 to our present moment) alone does not help us to articulate a new understanding of our contemporaneity. This is because it still plays with the old oppositions: to declare a 'former West' against the 'former East' and a 'global South' means not more and not less than to continue thinking in 'blocs'. This prolongation, if not fortification, of the divisions of the world would be counter to the original critical, emancipatory intentions that ground this discussion. The same goes for the field of art: such a retrospective application of the notion of the 'former West' onto the post-1989 artistic developments in the 'first world' is inadequate. Certainly, it could offer us different 'art-historical extracts' and another set of 'priorities' (as Walter Grasskamp has proposed) in comparison to the dominant art-historical point of view, which is deeply influenced by the forces of the art market - an alternative perspective evolving around significant social and political changes and away from the spectacular and the populist, and one that is entangled with post-communist and postcolonial thought. But such a focus would rather perpetuate a narcissistic - albeit self-critical and iconoclastic - focus on the same geography of symbolic power, the 'West'. And in such a case, it would retain its hegemonic position in spite of any number of adjectives we might attach to it, joining a long list of critical exercises appropriated by a system of dominance in order to enhance its reigning power under a disingenuous ideology of diversity and tolerance for dissent. To break out of the bloc mentality, we propose 'former West' as an instrument for studying our condition from a renewed global perspective, to do so through thinking in entanglements (as Sarat Maharaj put it in the 1st FORMER WEST Research Congress, which took place in Utrecht in November 20096) rather than by perpetuating existent binaries. For the 'former West' this means changing the tables and, in parallel to an attempt to critically rearticulate our recent past, looking towards the future possibilities in the link between art and the political imaginary. For couldn't it be said of art - of a work of art, or an exhibition - that it presents a horizon of possibility despite the consensus of its impossibility elsewhere in society?7 Doesn't art, in many instances, propose that it is possible to imagine the world as other than how we know it? This requires us to introduce a speculative element of what 'could be'; to resuscitate the notion of a horizon, proclaimed lost in current monolithic orthodoxy, and think through the notion of 'one world' as what Alain Badiou calls a 'political imperative', imbued with difference yet structured by equality. In this sense, 'former West' is a future horizon, off in the distance, from which the ideal of a single world could be thought. The contemporary art we speak about is more than 'the thing itself' of the artwork - at least in the part of the field that has adopted political struggle and maintained the impulse to strive towards a new possibility. Encompassing means of intellectual production that have developed in several disciplines, in-between disciplines and in many cases outside of the formalised spheres of knowledge production, contemporary art has certainly described, reflected on and even instigated certain internal social and cultural dynamics in or about the territories of the 'former West' that would point to a condition of 'becoming' former. Seeing art as a systemic form of imagining from out of the conditions at hand towards something that is not yet formed, the concrete task before us is how to move in the gap between the reality (of the West) and the ideal (of the 'former West') in the global context, in order for the poetic-political challenge that contemporary art presents before us - that which 'would be a good idea' - to find its place in the world. We are pleased to announce the first in a new series of talks analysing and contextualising exhibitions through the personal accounts of the curators responsible for them, co-organised with the Whitechapel Gallery in London. On Thursday 24 January Ute Meta Bauer will be in conversation with Iwona Blazwick, Director of the Whitechapel Gallery.